Now that he is dead, let us play Jack Chick the compliment of treating his ideas as seriously as we did when he was alive. I am sure he would not have wished otherwise. I don’t know who first dug up these examples, but they were popularised by the creationist comic-book writer Jack Chick, in a publication called “Big Daddy”. The first page, available here, shows a well-primed creationist student arguing with a singularly ill-informed biology professor. The professor has been leading such a sheltered life that he’s never met these creationist arguments before. And he doesn’t understand anything about evolution or dating of rocks or embryology or indeed anything else. Surprise! the student wins! A skilled cartoonist, Jack Chick manages to squeeze the largest number of fallacies into the smallest number of words. There is a crib sheet at the end of this post, listing all the fallacies I spotted myself; I just reached double figures but there may be more. Dr Noble said that the scientific consensus is about 3 billion years old, but there is a lot of uncertainty about all scientific things and some think the Earth’s only thousands of years old. He thinks the Earth might be old, but human beings might be “much younger than most scientists would accept”. A geologist has shown him a piece of rock, dated as 300 million years old, but containing a seam of coal carbon-14 dated at 40,000 years. And carbon dating only goes back to around 50,000 years, so [he said with heavy emphasis] “the error is not in the date of the coal.” All methods depend on judgements about initial conditions that we have no way of knowing. The scientific consensus can be very arrogant, so he doesn’t have a serious problem with an old Earth, but is not completely convinced. First, and least important, that number, 3 billion years. It should of course be around 4. 5 billion years. From the fact that carbon-14 is useless beyond 50,000 years, Dr Noble infers that the error is “not in the date of the coal.” The exact opposite is true. The 50,000 limit is the limit of the method, showing that it cannot be used for more ancient deposits. Actually, it has long been known that ancient coal cannot be dated by carbon-14, because it gives spurious and erratic young(ish) ages, between 20,000 and 50,000 years. This has thwarted attempts to use it as a standard background (see e.g. this 1939 paper). One percent contamination by contemporary material of the area sampled will reduce the apparent age to less than the 40,000 years that Dr Noble quotes, and other potential problems include the presence of modern bacteria (well established by 1931) and carbon-14 generation in the coal from the nitrogen-14 present, as an indirect effect of the radioactive decay of heavy elements in the coal. I don’t know where Dr Noble got his numbers from, but they are identical with those quoted in a 2002 Talkorigins article, which discusses and dismisses the alleged anomaly. A fuller and more recent critical analysis of claims of detecting carbon-14 in ancient materials can be found at http://www.asa3.org/ASA/education/origins/carbon-kb.htm#22 (ASA in this address stands for American Scientific Affiliation, an organisation of Christians who reject attempts such as Dr Noble’s to discard the plain science of evolution and an ancient Earth; the author, Kirk Bertsche, holds a Ph.D. for his work on radiocarbon methods, and an MA in Exegetical Theology from Western Seminary, Portland, Oregon). As for our judgments about initial conditions, we can check these in at least four separate ways. Firstly, careful mineralogy, picking out well isolated samples or even well-defined individual crystallites. Secondly, available since the 1940s, what are known as isochron methods, which use non-radiogenic isotopes as internal markers. Thirdly, SHRIMP (sensitive high resolution ion microprobe) methods, available since 1980, which allow assessment even of selected regions within crystallites, giving valuable information about thermal history and element mobility; I have a friend who does this for a living. Finally, the good agreement of disparate methods (this was mentioned to Dr Noble) provides cross-validation, and the rare occasions when this does not occur (for example in rocks with anomalously young potassium-argon ages) are themselves highly informative (in this example, regarding subsequent heating episodes). Radiometric Dating, A Christian Perspective, by Roger Wiens, principal investigator of the Mars Curiosity Rover’s chemical laser analysis team, gives an excellent perspective on this and other alleged problems. It is just not true that there is a lot of uncertainty about all scientific things. There is no real uncertainty about the age of the Earth, any more than there is real uncertainty about the existence of the atoms of which it is composed. Dr Noble himself would be very upset if I were to allege that there is a lot of uncertainty about the abstruse area of inorganic chemistry in which he obtained his own Ph.D. over 40 years ago. And yes, we should keep an open mind, but not so open that our brains fall out. So how did Dr Noble, who evidently still thinks of himself as a scientist, come to make such a concatenation of elementary errors? I would suggest confirmation bias, selecting evidence that supports a view already adopted for very different reasons. And in this case, that view is identified by his wish to take seriously the possibility that human beings might be “much younger than most scientists would accept”. Dr Noble belongs to a church that believes in the “entire trustworthiness” of Scripture, and perhaps he looks kindly on the idea that human beings were specially created in the past few thousand years. But if this is the case, the biological science that shows we are sister species to chimpanzees, and the Earth science that dates undeniably human skulls back to more than 100,000 years ago, must be denounced as unreliable. The rest follows. Added note: Some commentators have inferred that Dr Noble is a six-day creationist. I, however, interpret his careful distinction between the age of the Earth and the age of humanity a showing a more broad-minded perspective than that, one which also grants credibility to day-age and gap versions of creationism. Here day-age accepts the order of events in Genesis, but allows that each “day” may refer to an era. “Gap” allows geological tme in between Genesis 1:1 and Genesi 1:2. 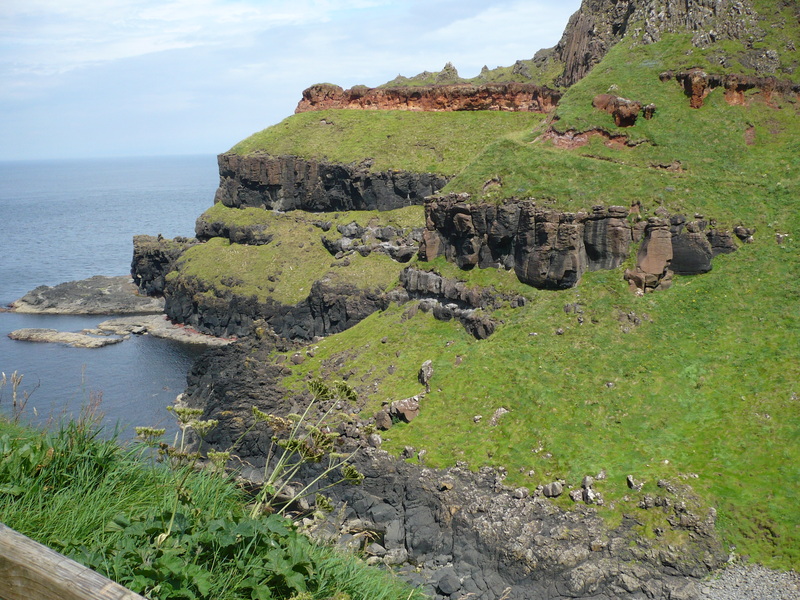 Both were originally attempts by conservative theologians to accommodate biblical literalism to early 19th century geology, and both, crucially, accept a historical Eden a few thousand years ago, and separate creation of kinds. I deliberately chose impeccably Christian sources for the geological background, to highlight the possibility that Dr Noble’s hermeneutics may be as selective as his geology. 1] The Preparation and Properties of Tungsten Hexafluoride Derivatives, Glasgow, 1970. 2] For the history of this phrase see here. Scientific theories are antifragile; they thrive on anomalies. Some things are fragile – they break. Some are robust – they can withstand harsh treatment. But the most interesting kind are antifragile, emerging strengthened and enriched from challenges. Whatever does not kill them makes them stronger. Science is as successful as it is, because science as a whole, and even individual scientific theories, are antifragile. We owe the term “antifragile” to the financier and thinker Nassim Nicholas Taleb, author of Fooled by Randomness and Black Swan. Taleb describes his latest book, Antifragile; Things that Gain from Disorder, as the intellectual underpinning of those earlier works, since it formalises his earlier reflections. Antifragility is the true opposite of fragility. Unlike mere robustness, it is the ability to actually profit from misadventure. A porcelain cup is fragile, and shatters if dropped. A plastic cup, being robust, will not be any the worse for such an experience, but it will not be any the better for it either. Contrast the human immune system. Being antifragile, it is improved by stresses. Having been challenged by an infection, it will be primed to respond more effectively to similar challenges in the future, because it has learned to recognise the infection as an invader. There are deep connections between randomness, uncertainty, novelty, information, and learning, and natural selection in an uncertain world favours antifragile systems because they learn from experience . Good safety systems are antifragile. Accidents will happen, and of their nature cannot always be foreseen, but each accident can be analysed retrospectively and procedures adjusted to anticipate similar challenges in the future. Moreover, experience shows that experience is more persuasive than foresight, even when the mishap itself has actually been foreseen. This may not be the very best moment to mention the fact, but air transport safety systems are antifragile. 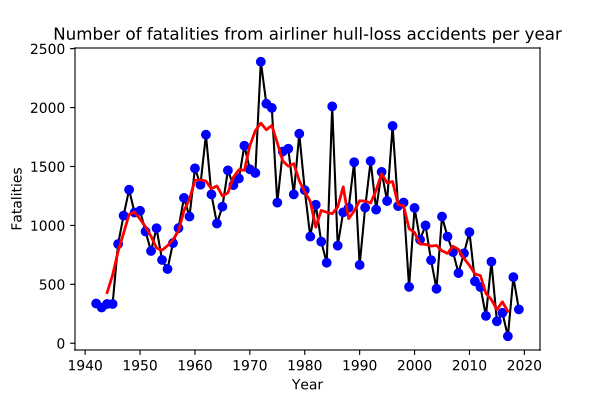 Air travel is far safer than it was a generation ago, because we have learned from past mistakes. The mistakes were part of the process, if only because brutal reality is more effective than prediction at promoting change. Thus locking off the cockpit door securely from the cabin had been discussed earlier, but only became standard practice after the 9/11 hijackings, and after the recent Malaysian Airlines case we can expect the obviously overdue checking of passports against the Interpol list of those stolen. But that is not what really happens. Well-established theories have already explained a wide range of observations, and will not readily be destroyed by a single counterexample. On the contrary, they usually emerge all the stronger for accommodating to it. If the theory already has a great deal going for it, we do not regard the counter-example as a refutation, but rather as an anomaly. It is a deviation from regular behaviour (Greek: an-, negation, homalos, even) but not necessarily a sufficient reason to deny that the regularity exists. Although the anomaly seems to be an imperfection, we may still be able to interpret it in a way that deepens and extends our understanding of the theory, and our knowledge of the world itself. When we can do this, the theory has not been damaged by being challenged; quite the reverse. It has emerged stronger, and our confidence in it is enhanced. New challenges cannot be foreseen, whatever scientists may have to pretend when writing their funding proposals, but for that very reason, in the process of responding to them, the theory generates new information. This is exactly the kind of behaviour that Taleb calls antifragile. Take for instance Newton’s theory of planetary motion (I owe this example to Philip Kitcher’s book, Abusing Science). 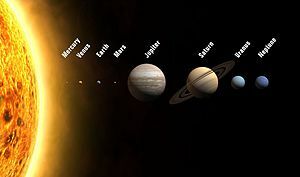 In this theory, to a first approximation, planets orbit the Sun in elliptical orbits, under the influence of the Sun’s gravitational attraction. But this is not quite what happens, because the planets also exert gravitational attraction on each other. A more exact description of their motion needs to take this additional effect into account, and the theory tells us how to do this, using the inverse square law for gravitational attraction. The orbit of Uranus, for example, is measurably perturbed by the gravitational influences of Jupiter and Saturn. But calculations on this basis did not lead to accurate predictions of its path. A direct conflict between theory and observation, but did this destroyNewton celestial mechanics? Did people throw up their hands in despair and abandon the attempt to predict the next lunar eclipse? Of course not. There was indeed an anomaly, but this was hardly sufficient reason to discard a theory that tied together the motions of the moon, the planets, and even the proverbial apple. Indeed, the theory itself told astronomers what to look for; another planet waiting to be discovered, whose position could itself be calculated from the “error” in the calculated orbit of Uranus. And there it was, a new planet, which we now call Neptune. This was not a refutation of the theory, but a further confirmation. The theory, in other words, emerged stronger from the challenge posed by the deviation from its initial predictions. It had displayed antifragility. The Newtonian description of the planets and their motions had survived, and had gained further information – the existence of a major new planet, no less – in the process. Taleb himself mentions this case, but dismisses it as untypical. Ironically, since the importance of the untypical is central to his own thinking. Now contrast this with the problem posed by the orbit of the planet Mercury. Again, the orbit deviated from the Newtonian prediction. But this time, the search for a new planet to account for the discrepancies was unsuccessful. It was only after the development of Einstein’s general theory of relativity that it became possible to explain the planet’s motion. So what follows from this latter case? Do we say that Newton’s theory was wrong? No. We say that it was incomplete. It provides an adequate description of celestial mechanics, provided speeds are not too high (compared with the speed of light) and gravitational fields are not too strong. When we say this, we have not subtracted from Newton’s theory. On the contrary, we have added to it, by describing the conditions under which we can expect it to break down, and by subsuming it in a larger, more general, theory. It has been enhanced, as a jewel is enhanced by its setting. Actually, if we are looking for extreme accuracy, we need to take into account relativistic refinements to Newton even when discussing everyday objects. Otherwise, we could not have a global positioning system good enough to guide a tractor without steering it into a ditch. My next example comes from chemistry. Put together Lavoisier’s theory of chemical elements with Dalton’s theory of atoms, and you would expect that all the atoms of a particular element, wherever they were found, would have exactly the same properties. In particular, the density of the gas nitrogen, which depends on the mass of the individual nitrogen atoms, should be exactly the same whether the nitrogen is extracted from the atmosphere, or is chemically prepared by the decomposition of a nitrogen-containing compound, such as ammonia. The densities of some gases, such as nitrogen and oxygen, are tantalisingly close to being whole number multiples of the density of hydrogen, and it was suspected (correctly) that there was a fundamental reason for this. That is why the physicist Lord Rayleigh, in the early 1890s, decided to re-measure the density of nitrogen as accurately as possible. Yet, however much care he took, he found that the density of the gas that he prepared from air was always measurably greater than that of the gas prepared from ammonia. In predicting the densities to be the same, Rayleigh had clearly made a mistake of some kind, but, as Taleb points out,mistakes contain information, which is why they are valuable. The mistake in this case is the assumption that once you have removed oxygen, water vapour, and other minor components from air, nitrogen is the only thing you are left with. The chemist William Ramsay realised that “atmospheric nitrogen” must also contain something else, and that something else turned out to be very interesting indeed. It was the gas argon, which actually makes up 1% of our atmosphere, but had hitherto escaped detection because of its lack of chemical reactivity. And not only was argon a new element, but it was a representative of an entire group of new elements, the noble gases, whose inertness provides a clue to the very nature of chemical bonding. A further anomaly was discovered in the early years of the 20th century. Different chemically pure samples of one particular element, lead, really did have different densities, depending on the source of the ore. Facts like this were involved in the discovery of isotopes, versions of the same element with different numbers of neutrons in the nucleus, and therefore different atomic mass. We now know that contrary to classical atomic theory, the different isotopes of an element have very slightly different chemical reactivities, and that by examining the isotopic composition of a mineral, with the high accuracy possible in modern mass spectrometers, we can draw inferences about its geological history. Finally, an example from geology, and more specifically from the radiometric dating of rocks. I chose this example because the anomaly is discussed and explained in the original scientific literature, despite which creationists shamelessly use it as a reason for rejecting the very science that it extends and validates. The principle of radioactive dating is simple. Some elements are radioactive. They decay at a known rate, and by comparing the amount of decay product in a mineral grain with the amount of parent material remaining, we can infer how long the process has been going on, and hence the time since the formation of that particular grain. This method has been in use for over a century. Since many rocks contain more than one radioactive isotope, it is often possible to obtain more than one date for the same sample, and the fact that such dates are generally in excellent agreement enhances our confidence in the technique. In its simplest form, the method requires that both parent and daughter have been immobile, but more refined arithmetical techniques using non-radiogenic isotopes as internal standards can correct for such movement, and have been in use since the 1940s. Now considers the Cardenas basalt, near the base of the Grand Canyon. This has been carefully dated using two distinct methods, rubidium-strontium (Rb/Sr), and potassium-argon. Rb/Sr is an excellent method for older rocks, because the rubidium parent has a long half life, and because both elements will be firmly bound in their mineral matrix. Potassium-argon is in this latter regard at the other extreme. Potassium occurs in rocks as a component of aluminosilicate minerals, which hold it firmly in place. Argon, on the other hand, is as we have already seen an unreactive gas. When rock is chemically reworked or melted, the argon is able to escape, and as we have seen the argon so formed makes up 1% of our atmosphere. Heat a rock sufficiently, and some of the argon will be able to escape between the grains, while its parent potassium, like most other components including rubidium and strontium, remains firmly in place. So if we now apply potassium-argon dating, we will get an underestimate of the true age because we will have retained all of the parent, but lost part of the product. By contrast, the Rb/Sr dating is unaffected because both parent and daughter are immobile. This is exactly what was found in the case of the Cardenas basalt. Rb/Sr tells us that this basalt represents a lava flow some 1100 million years ago, and dating by various methods of the rocks above and below, and through which is has penetrated, confirms this. The potassium-argon dates are younger; how much younger depends on the exact chemical composition of the part of the rock sampled, and hence on its viscosity during later heating (see here, p. 255, for details). 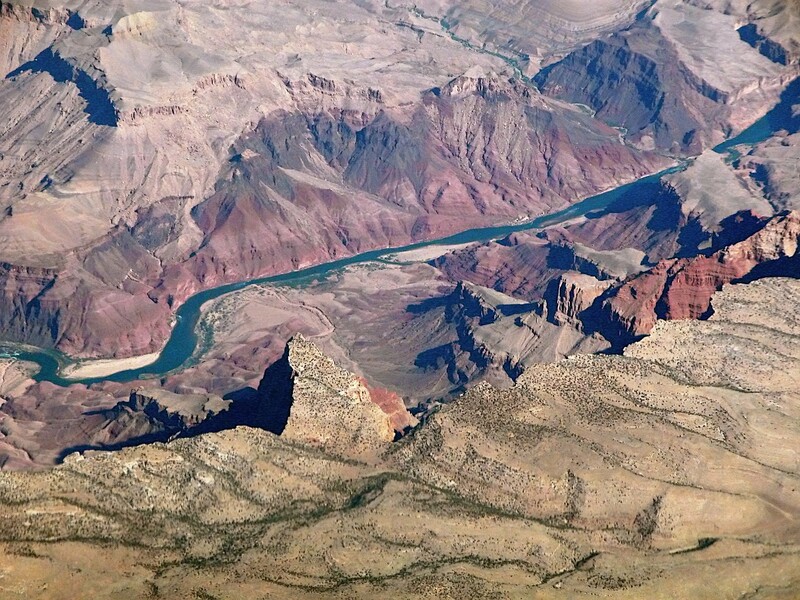 The Grand Canyon has exposed these ancient rocks, buried elsewhere beneath a mile of sediments, and their detailed examination continues to yield new information about the tectonic forces at work in the distant past. The elegant ellipses of planetary orbits are perturbed by their mutual interactions, The identical atoms of the early modern atomic theory turn out to be to a mixture of different isotopes. 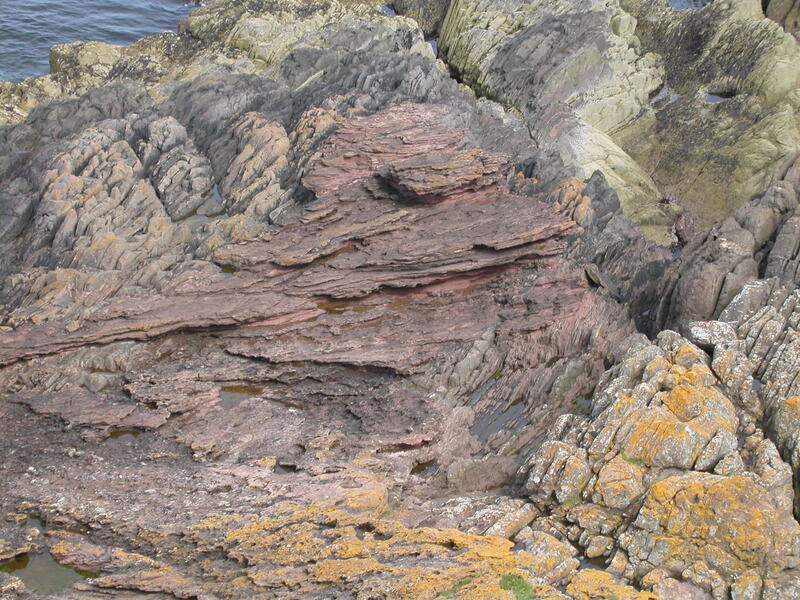 The single date for the formation of a rock must at times be supplemented by other dates from its history. T. H. Huxley may have spoken of “The great tragedy of Science — the slaying of a beautiful hypothesis by an ugly fact,” but mature theories are in general neither as elegant nor as vulnerable as newly coined hypotheses. They will have undergone mutation and Darwinian evolution in the marketplace, and demonstrated their ability to survive, warts and all. Such is the central theme of this meandering, often insightful, and frequently infuriating book; for the review that most closely matches my own opinion, see here. Ironically, I found it more convincing at the level of general understanding than at the level of specific application, in direct contrast to the author’s own view of how ideas shape up.